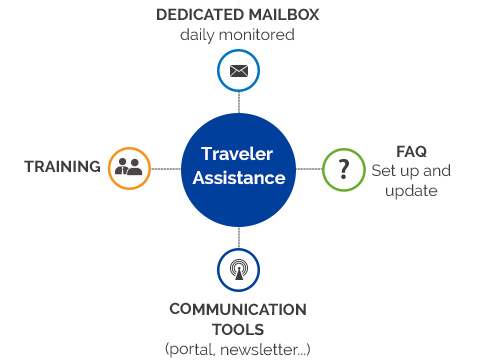 We commit to answering your travellers’ requests within pre-defined service level agreements. Do you need adhoc support for a change of policy or an implementation of a new tool? By outsourcing change management projects to us your teams can focus on their core deliveries. Further we can set up dedicated mailboxes to keep operational questions out of your inboxes. Over time FAQs can be managed via chatbots. We provide independent customer centric procurement advice and support you in building your tailor made business travel strategy that supports your company’s values and considers its current context. Decades of operational excellence built up in previous roles are at your disposal. We create process driven technology enabled user centric ecosystems. We understand that efficiency comes from know-how. We are willing to share ours for the benefit and independence of your employees.